Our Vision – We envision a world where all children are cared for with respect. Pikler/Lóczy USA is the only organization in the USA authorized to teach the Pikler® Pedagogy. Our Vision: We envision a world where all children are cared for with respect. We are a not for profit 501(c)3. 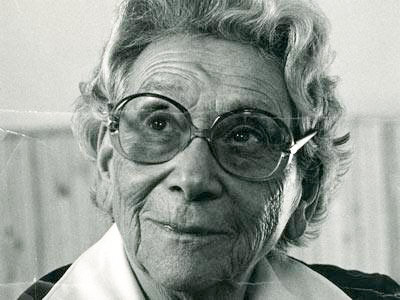 Dr. Emmi Pikler, (1902-1984) was a Hungarian pediatrician, author and lecturer known for her revolutionary approach to infant and child care. In 1946 she founded a residential nursery in Budapest, Hungary, the Pikler® Institute, where the focus was to preserve the competence, autonomy and integrity of the young child, ages 0 to six years. Since Pikler’s death, thousands of participants from around the world attend trainings onsite at the Institute, which ceased operating in 2011, but was established as the Pikler® Daycare Center in 2006 and continues its mission to conserve the practical applications of the Pikler® pedagogy – to bring up infants and young children with respect. In addition, there are a number of Pikler associations worldwide, including throughout Europe, in Asia, and North and South America, where certified Pikler® trainers lead workshops in this groundbreaking pedagogy. PLUSA, a 501 (c) 3 nonprofit corporation, was founded by Laura Briley in 1991 to raise awareness of the Pikler® Approach and to financially assist The Pikler® Institute, also known as Lóczy, the children’s home for training and research founded by Dr. Pikler in Budapest, Hungary. In response to the Pikler Institute’s transition from a residential nursery to a child care center, PLUSA’s purpose has also changed. The role of PLUSA is to support those interested in implementing Dr. Emmi Pikler approach to caring for children with respect, through training, service, and research. PLUSA, a 501 (c) 3 nonprofit corporation, is governed by an all volunteer service board. The PLUSA board gives time and effort sharing the Pikler® Approach with others. The Pikler board advocates for the work that continues in Budapest with a portion of proceeds contributed to the Lóczy Association in Hungary. Our training provides knowledge to parents, caregivers, and professionals regarding the principles of the Pikler® Approach through consultations, intensives, and conferences nationally and internationally. Further in-depth training leads to a Pikler® Pedagogue certification. PLUSA’s research focus includes new translations of Dr. Pikler's work, continued in-depth reflection on Pikler’s original documents and videos, as well as subsequent work produced at the Institute since Dr. Pikler’s death. Pikler/Lóczy USA (PLUSA) promotes respectful and harmonious relationships between the youngest child and the adult. Inspired by the Pikler® Approach, our mission is to support the adult through service, training, and research in the USA and internationally. Our focus preserves the competence, autonomy, and integrity of the young child, as formulated, studied and practiced by Hungarian pediatrician Emmi Pikler, M.D. (1902-1984), in order to ensure the child’s well being in families and in group settings. Because you asked: Early bird extended! Thank you Etonkids for the sponsorship! "Reflections from a board member on Pikler Intensive Workshop April 13-18, 2015 Arriving on Sunday afternoon I walked into the pre-conference workshop to see all the participants deeply engaged with Bev, Janet, Intisar and Elsa. All seemed so appreciative of the time they had spent over the weekend and eager to learn more." "I have had the pleasure of being able to attend all four of the previous Pikler® Intensives that have been held in the United States. I cannot even begin to describe how truly remarkable these trainings are. I am a lifelong learner, and as such, I attend a lot of conferences and trainings." “The nine days I spent at the Advanced Pikler® Intensive were life-changing! Though I’ve always had a love and respect for children, I gained a new way of seeing them. I learned how to notice, observe and enjoy each child’s unique rhythm. I learned about ‘Why movement is critical to brain development. And much, much more"
- Tracy Epps Johnson, Ph.D.
“It is mystery to me how love can continue to grow. My two granddaughters are testimony to the fact that our capacity to love others is boundless. Both their fathers are my adopted sons and it amazes me that their offspring look just like them. What a blessing for them to finally “see themselves” in the flesh. Pikler® has been extremely important to me as I have learned how to hold my children and to let them go simultaneously.